It takes a while for the new superhero movie Captain America: Civil War to reach the scene that everyone has paid their hard earned bucks to see: a knock down drag out between the two sides of the Avengers, one headed by Iron Man and one headed by the titular hero. But when it gets there, it proves to be more than worth the wait. Let’s just say, it ain’t your parents’ Sharks versus the Jets. In fact it’s one of the wittiest and smartest over the top superhero fight scenes we are likely to see for some time. It’s not just the dialog that is clever and earns its laughs, it’s also the way the fight plays out, which character gets pitted against which and how their superpower works against each other. There’s such a slick smoothness here, as if the planning of it was completely effortless; everything just fits together so well. And the fight even brings three new heroes to the brawl: The Black Panther, Spider-Man and Ant Man. 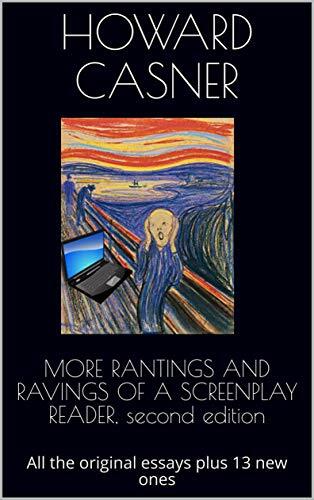 Less is more is normally the mantra most movie gurus recommend, but here, I have to say, more is actually, well…more. In some ways, it’s an amazing set piece and shows what can happen when writers, directors and, since this is a tent pole film, the money men (i.e., the studio) play nice together. However, it should be noted that, yes, it does take a bit to get there. 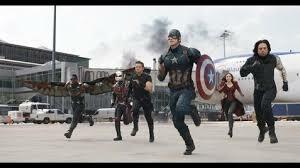 The film starts out well enough with two, count ‘em, two, different prologs that set up the multiple plot lines that eventually come together: one involving The Winter Soldier in 1991, and one in present day Wakanda (an African nation) where the Avengers must stop an assault on a lab by terrorists trying to steal a container filled with a deadly virus. The Avengers succeed, natch, but at a great cost, also natch. So far, so good. But now we have to get through a few bits that aren’t the most riveting, to say the least. First are a series of scenes involving an agreement proposed by 119 countries who have come together to request the Avengers sign a pact in which they vow never to act unless a UN panel asks them to. I always have trouble taking a plot turn seriously that attempts to reign in superheroes, mainly because, when it’s suggested, all I can think is, “well, who’s going to make them”. However, in …Civil War there’s the added oddity of that UN panel. What no one mentions or calls attention to is that such a stipulation pretty much renders The Avengers null and void: I mean, when was the last time a panel from the UN could agree on anything? Second, there is the Winter Soldier subplot which here results in a chase and action sequence that is fairly run of the mill, pretty unoriginal, and with nothing emotional at stake. In fact, it was so familiar, it was more than a little dispiriting. I was afraid that this was a sign of what was to come. 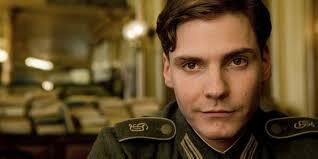 However, at this point, the plot eventually starts picking up due to a nice malevolent performance by Daniel Bruhl, one of Germany’s newest rising stars (if he hasn’t risen high enough already) as Zemo. He’s pretty despicable and has a nice creepy smile, all of which should keep you entertained until the rumble at the airport. After the fight, one would think it would be all anti-climax from then on out. But I have to say, the tension keeps on building somehow and it all ends with a nice little wrap around that has an emotional punch, a plot turn as clever and smart as much of the dialog and action scenes. I also should mention, just for the record, that it’s interesting how The Avengers seems to be having less of a problem being diverse than other superhero movies. 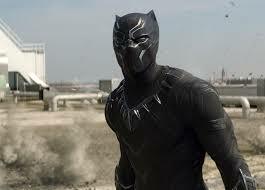 We now have three black heroes (Chadwick Boseman as Black Panther; Don Cheadle back as War Machine; and Anthony Mackie, also back, as Falcon) and two female ones (Scarlett Johansson as “when are they going to give her her own movie” Black Widow and Elizabeth Olsen as Scarlet Witch). It’s done so effortlessly you want to tell other producers, “see, now was that really so hard”. The screenplay is by Christopher Markus and Stephen McFeely, who did the previous Captain America film; they seem to be getting better. The direction is by the Russo brothers, Anthony and Joe; ditto. Also with the usual suspects: Robert Downey, Jr. (Iron Man); Chris Evans (Captain America); Paul Bettany (Vision); Jeremy Renner (Hawkeye); and Sebastian Stan (The Winter Soldier). And with two newcomers to the party, Tom Holland (Spider-Man) and Paul Rudd (Ant-Man). Also, also, with William Hurt giving an excellent performance as Secretary of State, Thaddeus Ross; John Slattery and Hope Davis as Tony’s parents; Alfre Woodard as a bitter mother who lost a child in an Avengers’ battle; and Martin Freeman as Everett Ross (he has an impeccable American accent, and he’s rather good; but he has nothing to do and no reason to be in the movie—does anyone know if this is a set up for bigger participation in the future?). And last, but not least, Marisa Tomei as Peter Parker’s Aunt May. Is it me, or are Peter’s aunts getting younger every rebooting? Be warned: there are two add ons at the end, so be sure to stay for the complete credits. 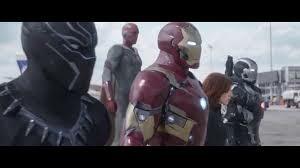 PS: I think the funniest scene is when Tony Stark tells Steve Rogers that he and Pepper Pots are taking a break. Okay, sure, fine, but to be honest, all I could think is, it sounds like someone wanted too much money to be in the film. 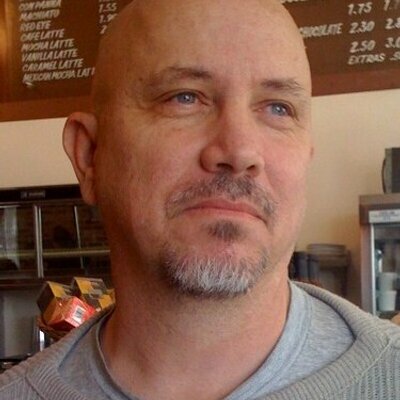 Pingback: The Large Association of Movie Blogs | LAMBScores: Civil War and More!